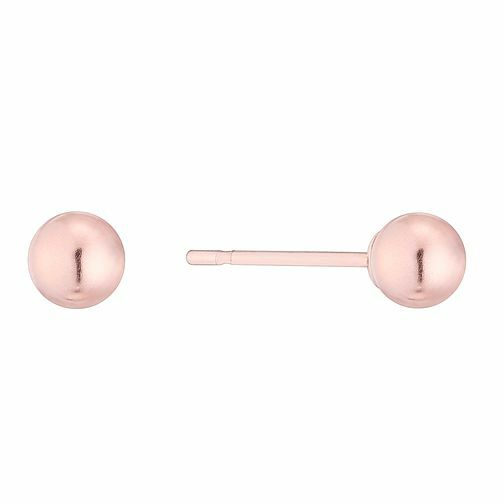 A stylishly simple pair of 4mm ball stud earrings, crafted in sumptuous 9ct rose gold for irresistible warmth. Perfect for paired-down everyday chic. 9ct Rose Gold 4mm Ball Stud Earrings is rated 4.0 out of 5 by 6. Rated 1 out of 5 by Anonymous from Too loose so fell out The butterflies are extremely thin metal and very loose fit. I thought maybe this was ok, and just different to my other earrings but these fell out and I lost one the second time wearing. Hsamuel won’t class this as a fault because I took them out of the box and wore them?! Rated 5 out of 5 by Anonymous from Perfect Exactly what was needed. Fit well. Arrived on time.